Triple-Tony Award winner Jason Robert Brown’s Songs for a New World comes to the St. James’ Theatre for 3 weeks only! Celebrating 20 years since its first performance Off-Broadway with an all-new London production. This very special 20th Anniversary production features electrifying vocals from a multi-award-winning cast and a stunning five piece band. Bringing Brown’s sensational score to life. 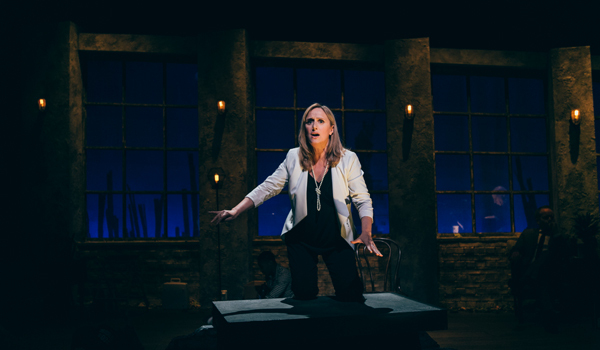 Jason Robert Brown’s melodic 1995 show is an oddity, but a consistently interesting and thrilling one in this exquisitely cast revival featuring the impressive talents of Cynthia Erivo, Damian Humbley, Dean John-Wilson and Jenna Russell. It’s more of a song cycle than a traditional musical. There is no book, and yet in Adam Lenson’s staging, it hangs together beautifully musically and thematically, and while there’s no progressing narrative, there is a complete micro-story in every single dramatic song. Each number gives us a new character, and yet there are so many echoes and reverberations that it sometimes seems as if this bare, New York loft apartment overlooking the Statue of Liberty, a place both of arrivals and departures – is full of jostling ghosts. Through a series of seemingly unconnected songs, Brown introduces us to individuals at moments in their lives when “the sky starts to change and the wind starts to blow”. There are lost jobs and broken marriages, new life starting, old lives left behind. Brown, who went on to write the brilliant Parade, was just 25 when he wrote it, yet it has a delicate, mature Chekhovian regret in both its scoring and subtle emotional layering. This is a show that knows that every new beginning also marks an ending, that the person we will be tomorrow is not the person we are today. The show is like a series of accumulated bruises. Songs for a New World is the gorgeously melodic and poignantly told 1995 Off-Broadway song cycle revue that first introduced Jason Robert Brown, then just 25, to the world. He has since had four original book musicals reach Broadway. In some ways, though, his work has never been better than here, which is really like 16 shows for the price of one. Each number is its own nuanced, richly dramatised mini-musical, telling its own complete story. Adam Lenson’s riveting new production is both sensationally sung and thrillingly acted. Set in what looks like a downtown Manhattan loft apartment, with high wide windows opening out on a view of the Statue of Liberty and what could be shards of the fallen towers of the World Trade Centre, the cast of four cut isolated figures who occasionally come together in wonderful harmonies. But each is trapped in his or her own memory. 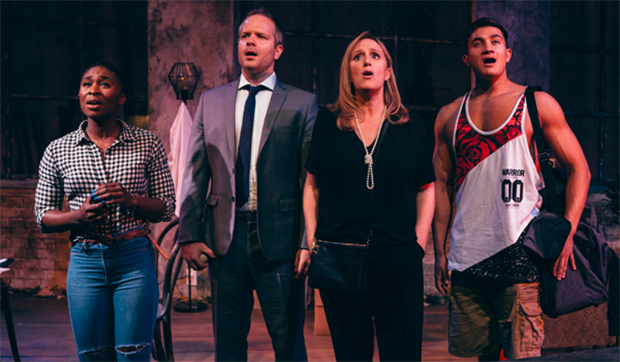 Jenna Russell and Cynthia Erivo are two of our very finest exponents of acting through song, illuminating the material from within. In Stars and the Moon, which has become a cabaret standard, Russell charts a woman’s heartbreaking realisation that achieving what she thought she wanted wasn’t what she needed. Erivo brings an effortless naturalism and lyricism to I’m Not Afraid of Anything and it’s true: she’s both utterly fearless and peerless. 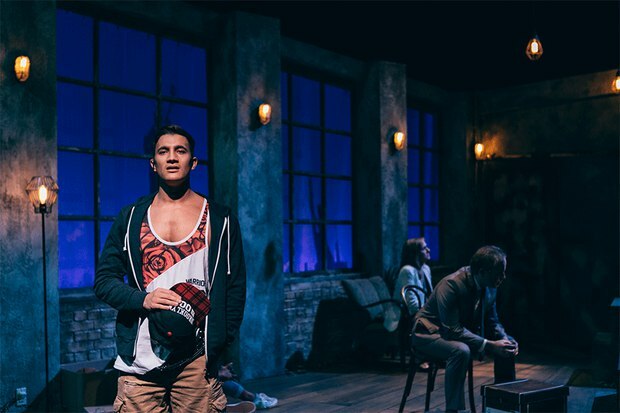 Twenty years after Jason Robert Brown burst onto the American musical theater landscape at age 25, London gets a first-class revival of his breakout show, “Songs for a New World,” with a dream cast. Adam Lenson’s production — featuring an effortless performance by Cynthia Erivo, due on Broadway later this year as the star of “The Color Purple” — isn’t the musical’s UK premiere (which happened at a tiny fringe venue in 2001), but it is easily the highest profile outing here in London, and it’s good enough to make you realize that the Brits have missed a trick. What’s more, it’s an illustration of how wide a gulf the Atlantic is when it comes to musical theater. Too fragmented for a musical, too unified to count as cabaret, Brown’s song cycle is absolutely its own thing: sixteen self-contained numbers, threaded together by musical and thematic motifs, each a story in itself. Its numbers manage to be both catchy and complex, but they are all character pieces with ample opportunities for actors. In “Just One Step,” for example, a wealthy wife gets her way by threatening to jump from her 57th floor apartment window — and it’s left to us to determine which is emptier, her threat or her life. Britain doesn’t really have musicals like this. Chamber musicals come around every so often, but they’re rarely this arthouse. Brown asks the audience to do the work, never spoon-feeding us or spelling out a story, but letting us find the connections between these people, their songs and their situations for ourselves. The overall diagnoses is left up to us. Director Lenson draws out something else as well: He ties the show to New York in particular and cities in general. The stage is a warehouse-style apartment on the edge of New York Harbor. Outside the window, the Statue of Liberty, that famous first glimpse of a new world for so many, has turned her back, perhaps rejecting these lost souls or else protecting them. In the foreground, as we look out from what must be New Jersey, are two clumps of dead tree trunks that recall the charred steel uprights of the toppled World Trade Center. To a London audience, unfamiliar with Manhattan’s geography, this could easily be the view from Ground Zero — fitting for a musical about moving on from those moments that change everything. Andrew Riley’s design makes that apartment ready for a refurb, with floorboards in need of a sand-down and dry, dead leaves on the floor. The four actors slide a rusted steel door closed as if shutting themselves away, and stare out at the world through huge windows. It works beautifully: Brown’s characters feel detached from the rest of society. They address the world from afar, as something separate, something to be defeated or used and which might very well defeat you or use you back in turn. Movement director Polly Bennett has them shuffle furniture throughout as if rearranging a flat, adding to the overall feeling of uncertainty behind this chorus of self-doubt. It’s an eloquent and unshowy expression of the whole. Admittedly the setting does lessen the historical scope of the piece, and songs like “On the Deck of a Spanish Sailing Ship, 1492” and “The Flagmaker, 1775” don’t carry their stories when sung by contemporary figures. Frankly, it’s great to see real acting through song, a rarity given the British musical’s roots in musical hall, which tends to treat songs as set-pieces. The cast’s careful interpretation — the lines they run over, those they snap or swallow — betrays the closeness of their readings.